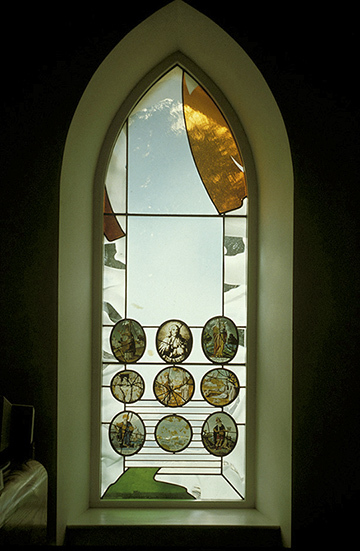 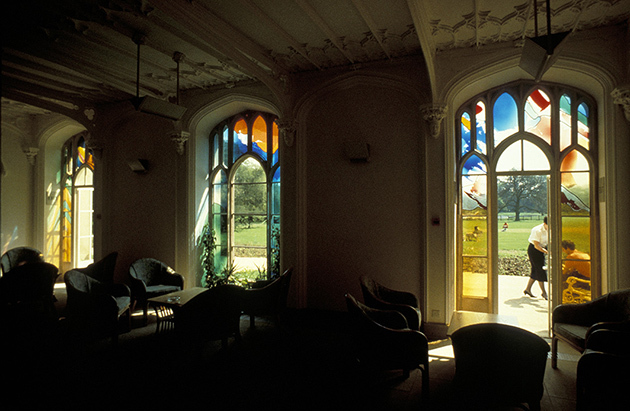 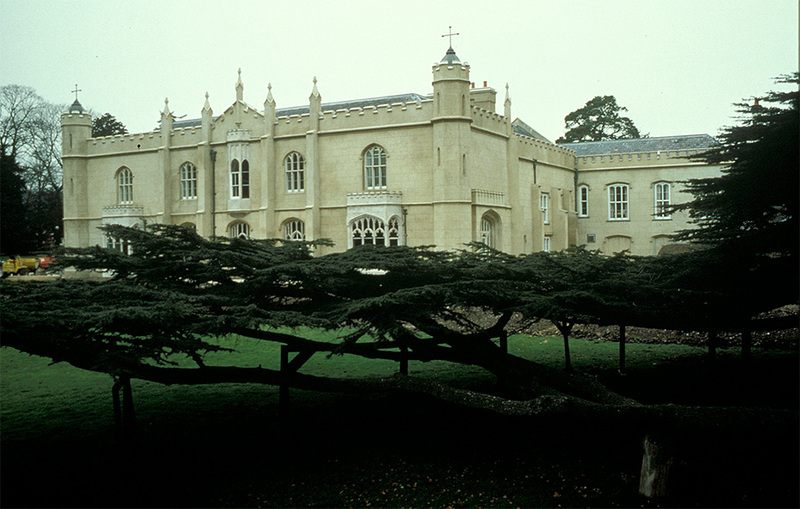 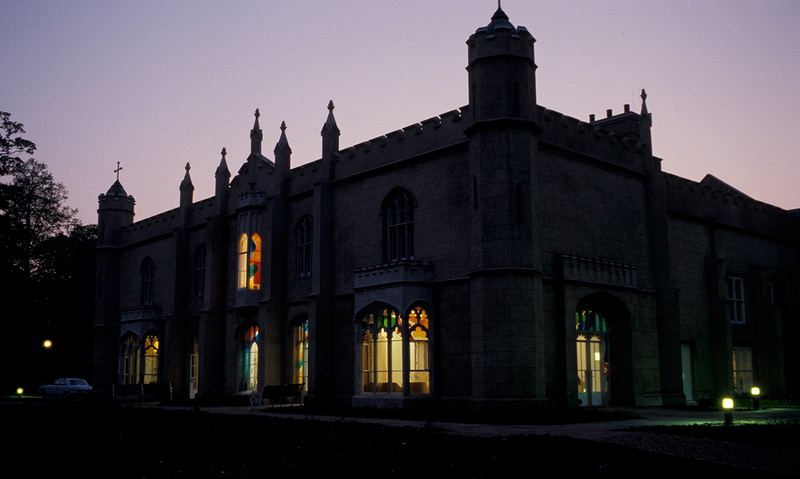 A suite of stained glass windows by David Pearl throughout Missenden Abbey in Great Missenden. 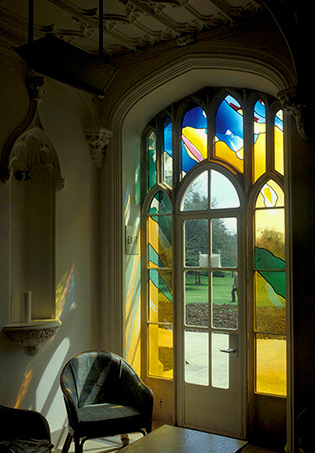 The windows employ English, French and German mouthblown glass. 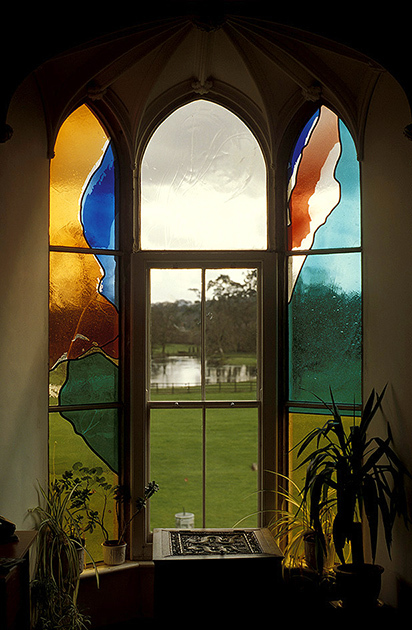 English streaky glass is used for its rich transparent textures. 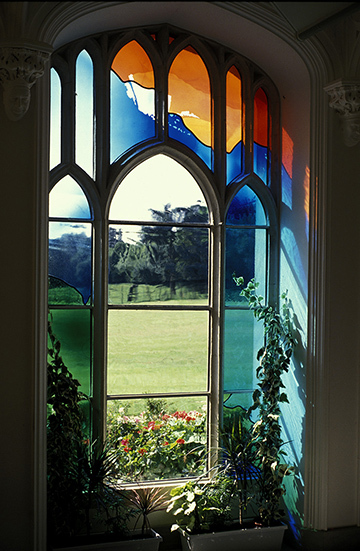 French Flashed Antique glass is extensively acid etched to create 'brush strokes' of colour. 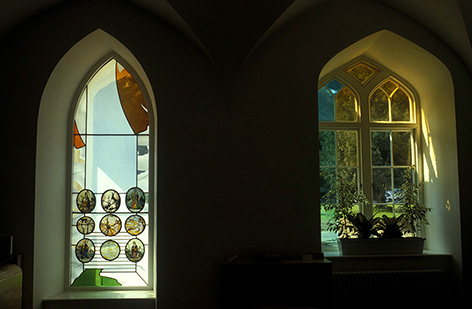 onto the white plaster and natural stone of the interior. 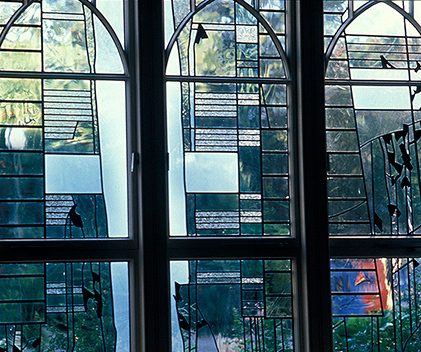 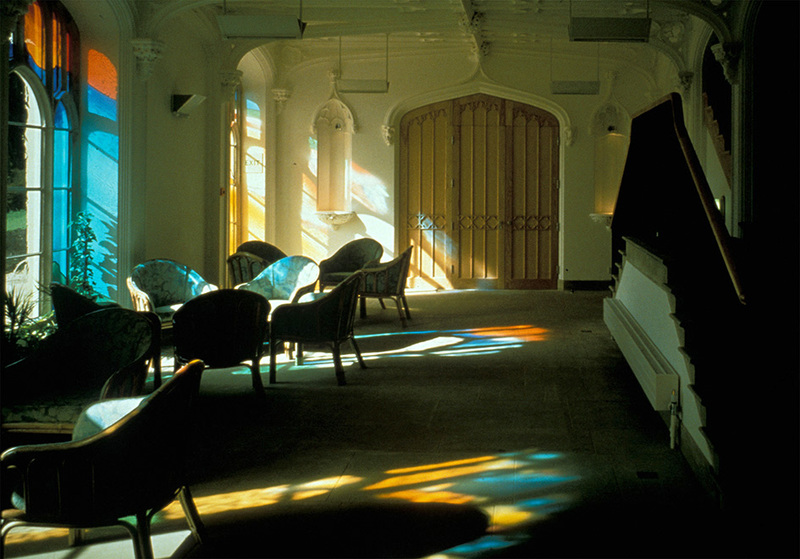 The German transparent tints of 'Echt' antique glass echo the qualities of early window glass. 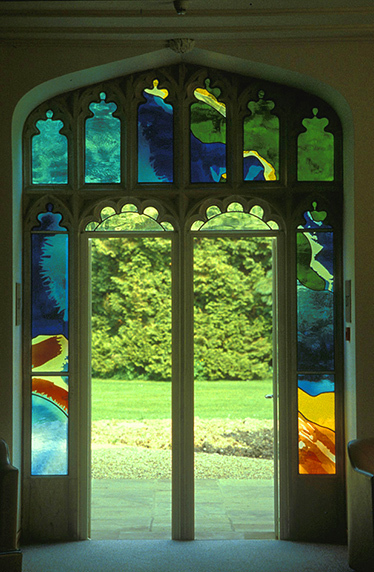 a canvas for the abbey's collection of Flemish glass.